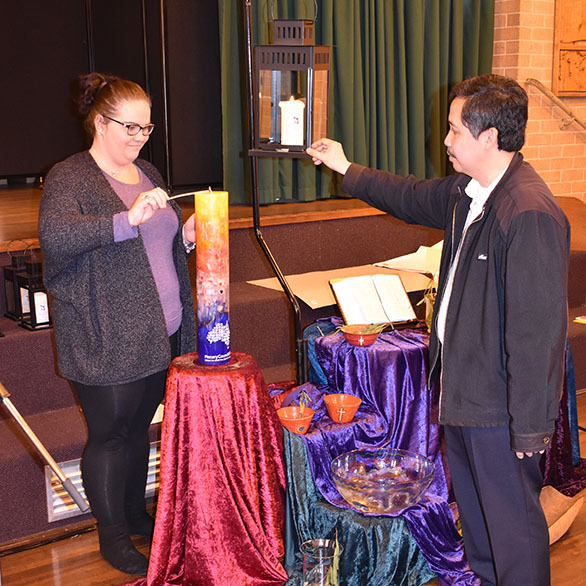 Catholics in the Western Australian diocese of Geraldton have provided a strong rural voice during the preparation phase of the three-year Plenary Council 2020 process. The Geraldton Diocesan Conference 2018, drawing on Psalm 118, adopted the theme of “Lamp for the Steps and Light for the Way: Listen to God and each other as we light the way forward.” Plenary Council facilitator Lana Turvey-Collins, who is criss-crossing the country holding meetings to introduce local people to the listening and dialogue process, said the Geraldton people were warm and welcoming. “Geraldton communities have so much to offer the Church. The leaders at the conference were full of questions and eager to ensure that the Plenary Council process benefitted from having a ‘strong rural and country’ diocesan voice from all the people of Geraldton,” she said. Following an opening address by Bishop Michael Morrissey, the conference ran for three days. The conference Mass was held in Geraldton’s unique and stunningly impressive St Francis Xavier Cathedral, which has recently undergone a major restoration. Bishop Morrissey, the ninth Bishop of Geraldton and the first bishop born, raised, ordained and to have ministered in the Diocese, said a series of community conversation circles were held to prepare for the annual conference. • Where do you see signs of hope in our community? • Where can we ‘be more’ for our community? • What resources and support can we draw upon to ‘be more’? “In many ways our people were already on the journey of listening and dialogue before the Plenary Council process was introduced,” Bishop Morrissey said. In addition to the Plenary Council discussion, the conference was facilitated by Philomena Billington, who lived in the diocese in the beginning of the 1980s when the small mining community of Leinster was being built. The conference also included formation and teaching from Fr Orm Rush, Fr Noel Connolly and the voice of young people from Geraldton’s Nagle Catholic College. Find out more about the Plenary Council on the Plenary Council website. This entry was posted in Bishops, Plenary Council, Press Releases on August 8, 2018 by ACBC Communications.